The Yashada Administrative Training Institute (ATI), an academy that trains government departments, rural and urban non-officials and stakeholders of Maharashtra state adopted the Urban Nexus approach in their institutions’ practice and further worked on some issues of their cities and states using the approach. 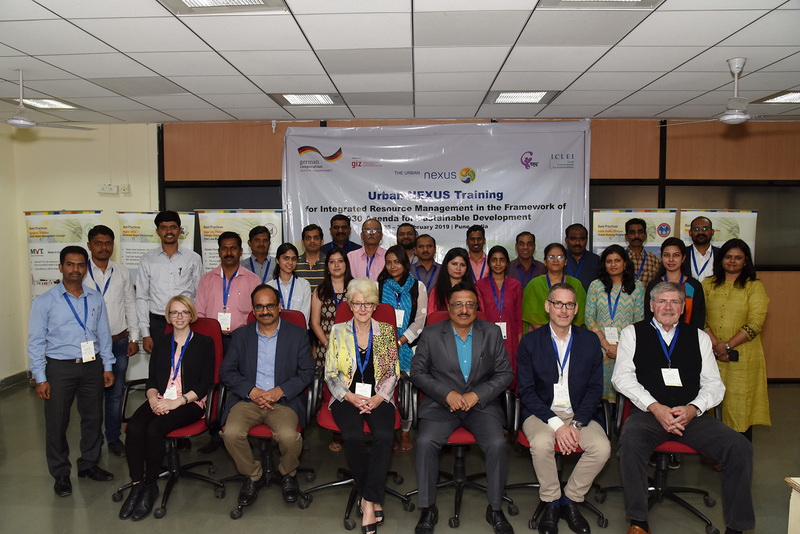 Representatives from the Yashada Administrative Training Institute (ATI) for Maharashtra state of India, along with city representatives and training and research institutes attended the Nexus training in Maharashtra on 25 – 26 February 2019 and in New Delhi on 28 February – 1 March 2019. 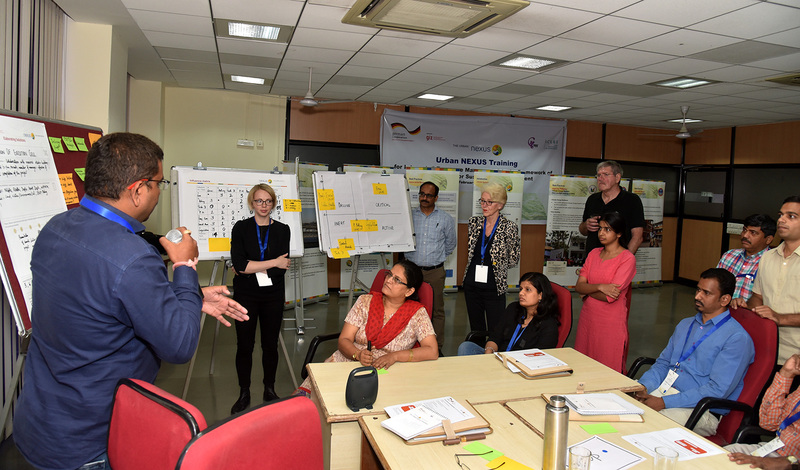 Following the previous training on Urban Nexus in Delhi last year, some of the ATIs showed interest and immediately put integrated resource management (the Nexus approach) and the new interactive training methods into practice in their own institutions. Integration with the curriculum will follow. The latest workshops concentrated on improving interinstitutional linkages at all levels of the government as well as integration across the sectors to solve problems in an integrated, holistic and environmentally friendly manner. They protect and manage the three “supply securities” – water, energy and food security – in a balanced manner. 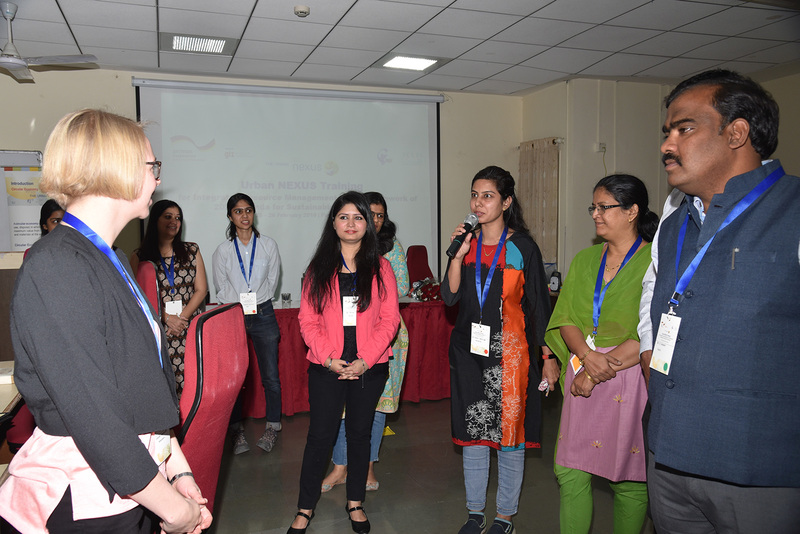 To serve as examples for inter-institutional coordination inter-ministerial task forces and committees, round table discussions, dialogue platforms or other inter-agency communication mechanisms have used the Urban Nexus approach as a tool. 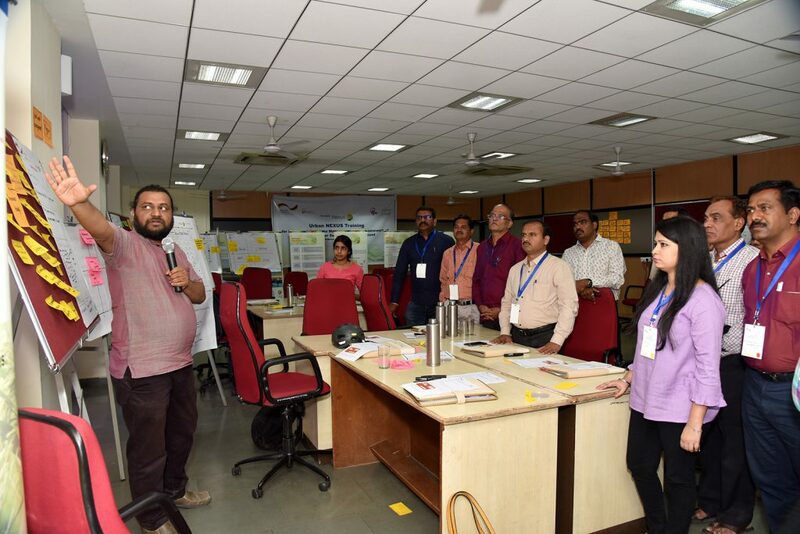 More than 30 participants from Maharashtra training institutes and cities worked on concrete infrastructure problems of their cities such as air pollution, waste water and solid waste management. The training method and the Nexus approach enables them to elaborate practical, cross-sectoral solutions to solve the problems. Inter-institutional coordination is always the weakest point. However, it is a “must” if integrated resource management is to take place. 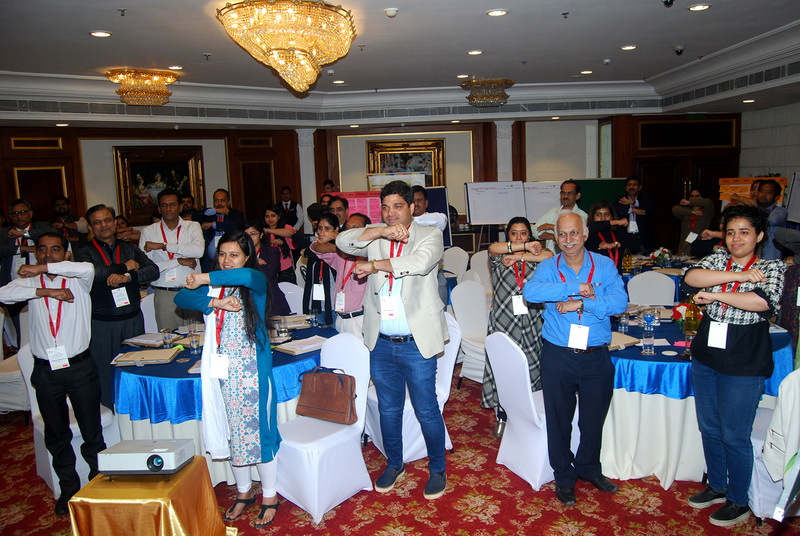 In Delhi, the participants came from training and research institutes and states and cities across the country. This mixture of the participants resulted in a very innovative spirit, new formats of cooperation and understanding as stakeholders from these different sectors rarely get together to work on common problems. The problems that they worked on included housing in Gurgaon, solid waste management in Jabalpur as well as waste water in Hyderabad and Bangalore. These topics were based on the four national flagship programmes of India, namely “Smart cities programme”, “Housing for all”, “Swachh Bharat” and the “Amrut” programme. These require integration across levels of government and sectors. Most scientific literature on the Nexus focuses on the physical interlinkages between the sectors. The roles of institutional and political Nexus governance have unfortunately received less attention. However, to manage risks, maximise gains and reduce trade-offs, one must not only understand how the Nexus sectors are physically connected but also how they are institutionally linked. Additionally, the International Agendas (the 2030 Agenda for Sustainable Development and the Paris Climate Agreement) have been integrated into the existing Indian policy programmes guiding the national development following the recommendation that implementation & monitoring should be “country led”. We need management approaches that ensure the sustainability of natural resources. Having “stronger institutions that are better interlinked” is the key to a Nexus approach. The Nexus approach is a theoretical and at the same time a political concept requesting integrated resource management. It is a “reminder” not to overexploit the natural resources water, energy and land, analysing the interlinkages between the three sectors of water, energy and food security with the ultimate goal of identifying synergies and minimising trade-offs between the sectors. It emphasises the key role of institutional relationships and effective coordination mechanisms.